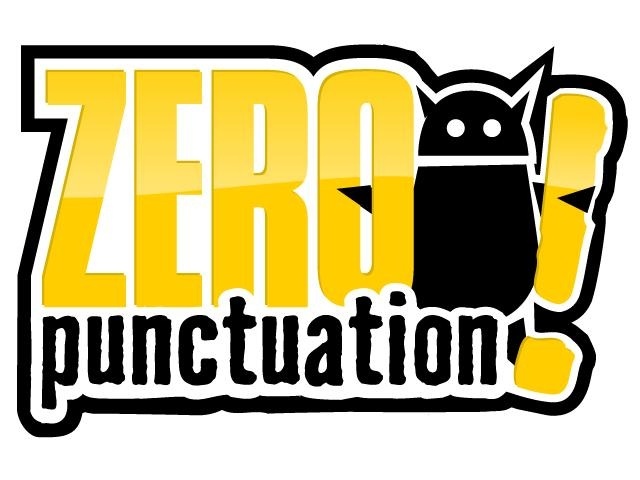 Zero Punctuation now has over 100,000 Facebook fans! To celebrate, we are giving our Facebook fans a chance to win a ZP t-shirt. If you aren't already a ZP Facebook fan, become one by clicking here and then click on the "like" button at the top of the page. Respond to our link about this giveaway on the ZP Facebook page, which can also be found here. Include your Escapist username in your comment. You MUST post a comment to have a valid entry. For example: "Zero Punctuation is why I wake up on Wednesday! Escapist Username = Spinwhiz"
If you would like to increase your chances of winning a t-shirt, tweet about today's video using this link - http://ow.ly/2hOz3 and these hashtags - #ZPfans #ESC. As an example, your tweet may look like this: "Crackdown 2 gets reviewed on today's Zero Punctuation! http://ow.ly/2hOz3 #ZPfans #ESC"
Please remember to update your Escapist profile with your Twitter username, otherwise we won't be able to verify the extra entry. You must be currently residing in the United States or Canada. Winners will have 24 hours to respond to our email or their entry will be void. It is because of you, the fans, we are celebrating this momentous occasion, so once again, THANK YOU! In an effort to include all ZP fans around the world, we have come up with something to give those ineligible to win a t-shirt. As of right now, all ZP fans not living in the US or Canada may follow the same rules as above and be entered into winning 1 of 50 limited edition ZP T-shirt badges for your profile!